Item # 313775 Stash Points: 5,995 (?) This is the number of points you get in The Zumiez Stash for purchasing this item. Stash points are redeemable for exclusive rewards only available to Zumiez Stash members. To redeem your points check out the rewards catalog on thestash.zumiez.com. Cozy up in athletic wear inspired style with the Russell Athletic Mason Gold Hoodie. 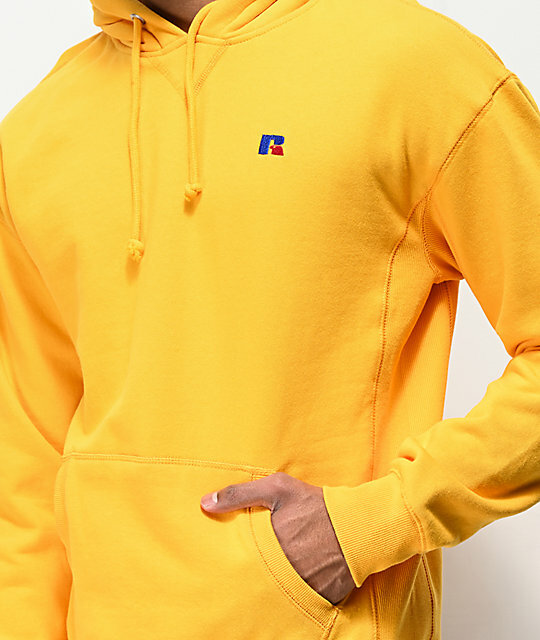 Featured in a bright gold construction, this vibrant hoodie comes complete with an embroidered "R" logo at the left chest for iconic style. 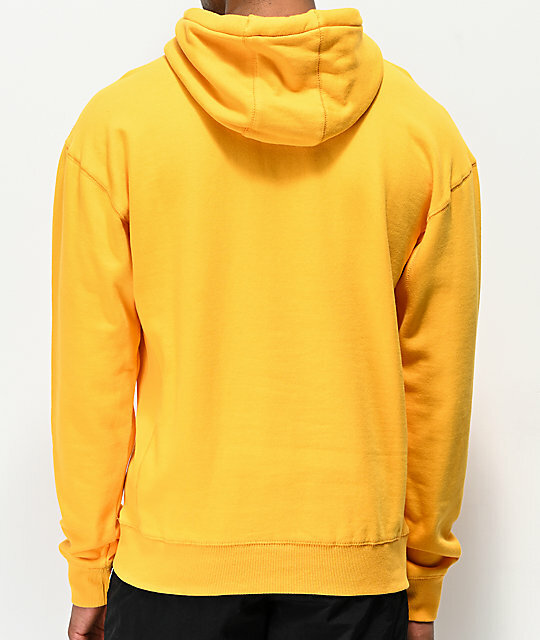 Finished with a fleece lined interior for warmth and ribbed sides for a full range of motion, this is sure-to-be your most comfortable hoodie. 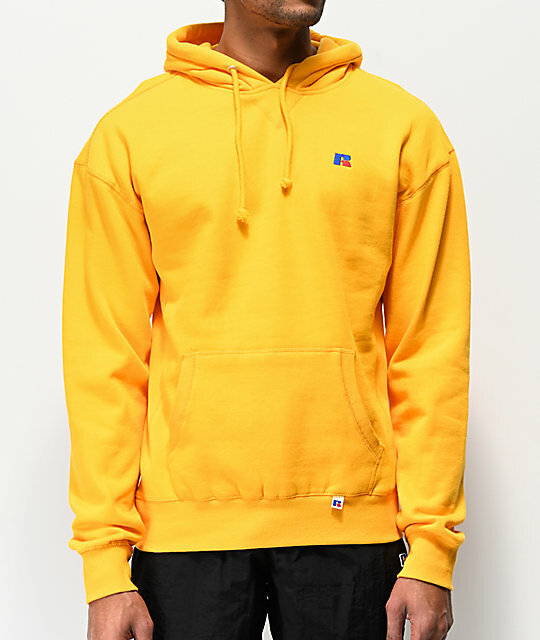 Mason Gold Hoodie from Russell Athletic. Ribbed sides for full mobility. Fleece lined interior for comfort.